One important new thing to mention which I just mentioned in GD. Target Man and Playmaker tick boxes are gone. This focus is now directly linked to Roles, so if you play a Target Man, he'll be the "out ball" for your team. If you use two Target Men for some reason, they will be equally sought out. This is another mistake IMO. It's interesting....the more people reveal about the new tactical model since the Beta release, the less desire I have to play FM14. Your opinion would carry so much more weight if you had actually played the Beta. As things stand, you are just pouncing on every opportunity to complain, which with no experience of the Beta, is a tad hollow. If you took time to read the general response to the new system, you would realise that a clear majority do favour the new system, so it can't be as bad as you imagine. Unless, of course, everyone else is always wrong and you are always right. Why would you use the tick boxes if you didn't play a target man or playmaker role in your team? It would just make no sense at all. If you want the effects of your beloved ticky boxes then simply use a target man or playmaker - they do exactly the same job. Well currently in FM13 I play a tactic that uses DM as DLP (D), 2 MCs set as DLP (S) and AP (S), and a STC set as Trequartista. The MC set as DLP (S) is ticked as my playmaker and the Trequartista is ticked as my Targetman with supply to feet. I've done that because that is the way I want my players and team to play, it works for me and I'm happy with the success I'm having. Apparently it is not possible to set up like this in FM14. 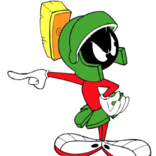 Why can't one specify one playmaker and one targetman, regardless of the roles, is really illogical to me. In sliderese, Hassle = 20 d-line, 20 closing down, stand off = 1 d-line, 1 closing down. If you want players to hold position, drop deeper reduces the d-line and closing down by 5 (aggressive base strategies), 3 (standard base strategies), or 1 (cautious base strategies). Push higher does the same in reverse. Is it possible to have a high deffensive line with low closing down? I know it may sound a bad idea (indeed I think it is), but is a situation I've seen some times. A team set it's line extremely high (close to midfield) when they didn't have the ball, but didn't go for the ball, but formed a really short defensive block around the midfield. It's quite simple, this. Let's say you have a 4 man defense. Now, if the other team comes at you with just 3 attackers, all fairly close to each other in the centre, your defense will naturally shorten the gaps, the cd's will have a shorter distance between them, and the full backs will keep closer to the cd's as there currently are no threats from wide. The distance between left back and right back would be relatively short. This is the wise thing to do. Agree? Then let's say you are attacked from 5 opponents, they are all spaced out so they cover the whole width of the pitch. Ball is somewhere centrally. Your 4 men will have to adapt, they can't hold these short gaps between them anymore, because if they do that, they will leave very exploitable spaces on the flanks. The distance from left back to right back would have to be longer than in the first example. Your defense will have to adapt, they would be very silly to keep a "set" width. You don't agree? This is one thing I saw in Spanish league. 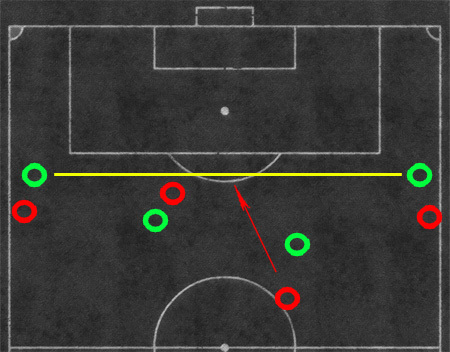 A team (Barcelona) was attacking with a really wide formation, wingers where really close to the line, trying to make the opposite defense (Sevilla) to be wide. What did Sevilla do? Ignored that. Make a 4 men extremely narrow and extremely deep defense line (like having 4 center backs) and let Barcelona wingers (at that momment Isaac Cuenca and Adriano, if I recall correctly) have the ball all they want and make all the crosses they wanted. They never tried to recover it in the flanks. 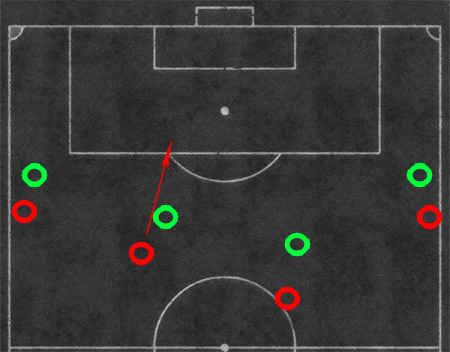 Sevilla also didn't make its own wingers come deep, but keep them higher, to push Barcelona full backs back. The result? It become a winner strategy. Barcelona wingers had the ball lots of time, but were unable to dribble through the extremely populated Sevilla area, and crossing the ball was futile. Having a fixed defensive wide in that case was the right thing to do. Is this a general case? No. Sevilla manager exploited the fact that Barcelona wingers that day where pretty limited players and that Barcelona crossings are usually futile. But I think we should be able to do it if we think is the right thing to do. Hassle and stand off opponents are a switch that you toggle according to your closing down preferences and are always accessible regarding of strategy, right? I suppose those settings change the line in a higher degree than the previous one, right? First thought: how can this method be naturally better than the previous slider? If the changes are also done to avoid the "trial and error jungle" of sliders it doesn't seem to me that this method is clearly better. I have a slider that is reference and that's it, I set the value and that's it. In the new implementation I have a value set by the strategy (which I don't know) and I have two modifiers: one that changes closing down too (the fact that the two settings are directly linked is a debate I don't want to open now) and another that I don't know how much it does. We can agree that having a direct simple access to this is much better then playing with +/- modifiers we don't even know if they can get me to where I will? I don't see why the numbers are necessary. What extra info do they give? How are they better than you knowing that you are asking your d-line to be extremely deep, very deep, deep, deepish, normal, highish, high, very high, extremely high within the relative context of your base strategy? What happens to the d-line if you play DMC and Wingbacks at the same time? Is this for FM13 or FM14 or both? The adjustments will cancel each other out. WWFan is it safe to assume now that the Inside Forward has been removed from the AMC slot, that the shadow striker is the FM14 rebranding of the role (edit: in the AMC position)? With some slight tweaks. The Inside Forward was never supposed to be available in the AMC slot. It was an error by Ov when he first coded the TC and it somehow stayed in. The Shadow Striker is a different role, although it probably works in a similar way to the IF/A in an AMC position. Whats the equivalent of Press More in this years team instructions? There isn't the option of setting playmaker and target man? You will press more whenever you increase your d-line. They are interrelated actions. The system treats them equally. If you have a TM, players will automatically feed him. Two, then both of them. Same for playmakers. I'm having lots of dificults with defense Very few options for them. I think a good idea for improve the new system is a split in "with ball" and "without ball" options, and more specific options for both, of course. Specifically with wwfan's input as the starting point. What you're saying makes for some interesting possibilities. On page 5 or something like that I banged on about the lack of documentation being the main problem. Whilst I still don't think it's quite at the level I would desire it to be it has become a lot better. I've started one game so far in classic mode and must say I'm loving it. For me, as a fairly casual gamer, the changes are a definite improvement. I never had the time or patience to figure out what the sliders did. Being able to predefine a players instructions in a specific position is also a major improvement. This allows you to take the players weaknesses and PPMs into consideration. You could do that before obviously, but I'd often forget to do so when bringing players on. Massive improvement for me. Regarding TMs and Playmakers.....Last night on Twitter, someone initially didn't like being obliged to choose a TM. So, whilst on the face of it you have a TM to attract the ball, you can shape him to be more dynamic. With playmakers, you could select a DLP or AP and shape them too, but they will still be the primary passing option. So, what you're saying is that playmakers are playmakers and target men are target men. How they play is manipulated through instructions like everything else. I have a quick question about the short passing instruction. Which is more extreme between "Shorter Passing" and "Retain Possession"? i.e. which instruction provides shorter passing? Retain possession also slows down the tempo but I believe both would share the same passing length modifier because the role determines how short/direct someone passes. Nothings changed in this sense from FM13. I'm not sure if this has been answered, but since this seems to be the thread for random FM14 tactical questions, I'll ask here. In past verions, if you used someone in the ST-L or ST-R positions (top right or left corners of the tactical box), they would eventually complain that they were being played out of position, even if they were trained for AMR or AML (no one ever appears trained for ST-L or ST-R (although this was true in the 90s, interestingly). Does anyone know if this is still a problem, or if it's been fixed? I can't imagine any player in real life who would play in the equivalent of FM's top corners, nor what sort of Role that would be. As such, I don't think it is an issue that needs to be fixed, it just sounds like a pretty weird tactic! The concept came to me a few years ago watching Barca's demolition of Man Utd in the CL Final. Broadly, they appeared to be playing a 4-3-3 or 4-1-2-2-1, except that the wingers were pushed very, very far up the pitch while the "central striker" (Messi) was, by comparison, withdrawn, or at least playing from a position where he could run at the defense. So far, so typical for discussions about Barca's tactic found on this forum. But the thing that astonished me about the way they played was when one of the "wingers" got the ball in that advanced position, the way the team played it seemed as if they had rotated the pitch. In the sense that the touchline was your own byline, and the opposition's byline was the touchline. It was such a change in the typical mentality of an advanced wide player that you could see the Man Utd defensive players were unbelievably disconcerted by it (as I'm sure many other of Barca's opponents were). Anyway, as a result, I've toyed with the idea of the front three in essentially a 4-3-3 system being STL, AMC, STR, but I'd hate to get it all set up and running only to end up having them whinge about being played out of position. Not a huge issue, of course, and I could just experiment, but as I tend to have limited time to play, that time is precious, so I like to avoid big, obvious mistakes wherever possible. Usually Barcelona wingers would be there. Some other teams in Spain also play sometimes having their wingers higher than their central striker. I've been using that positions regularly since FM2007. It's really good to recover the ball higher in the pitch in very offensive formations when the opposite team tries to start playing using its full backs. Also it's pretty useful when you have a striker that plays like a playmaker. Keeps opposite defensive line deep, and usually breaks offside trap making full backs and center backs not being aligned. *Funny thing is wingers are only being used to "be there", they don't do anything besides being a threat. Barcelona's general shape is somewhat distorted by how deep their central "striker" plays. That image shows that their wingers are very advanced, but it is exacerbated by the apparent absence of a reference point striker. Which in turn creates the illusion of them using FL/FR's. Last 4 years Barcelona wingers have always been in line with opposite d-line. That is exactly the effect of the FL/FR position in the ME. Two midfielders, two attacking midfielders and two wingers, being those the most advanced players, always in line with the d-line and trying to break offside trap. 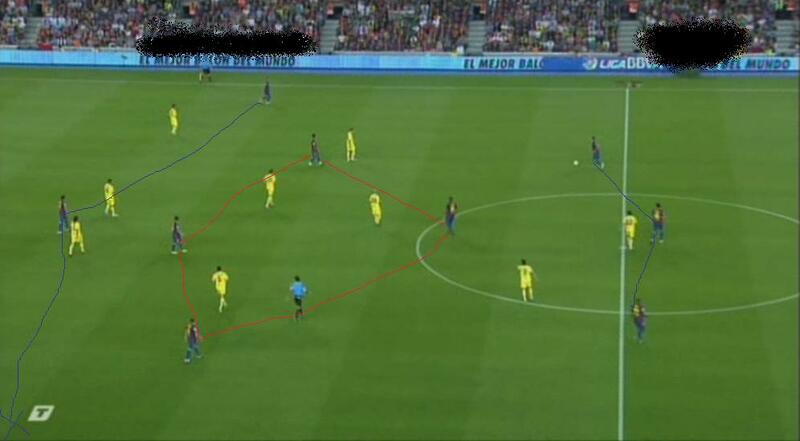 It wasn't a line of 4 attacking midfielders, neither Messi and Cesc were midfielders. Most straightforward way to emulate that would be 2 midfielders, 2 attacking midfielders an FL and an FR. Anyway Barcelona is not normal. Does lots of "peculiar" things to accommodate a lot of technically gifted players (and I bet Bayern Munchen will start doing peculiar things too, like having Lahm as a DMC, because Guardiola is pretty imaginative). But I think those things should be expected, considering is one of the top clubs of the world. Again, with the greatest respect, look at the CL Final with Man Utd. The two advanced wingers were playing in those positions. Partly true yes but a big factor in this was Man utd was extremely deep so dictated that Pedro and Villa could play more advanced due to them given space and United sitting back on their own box. I would like to have a blank role for each position, so I could give the players any of the available instructions, not only those that match the role. E.g. if I want my left and right defender to cut inside, I should be able to tell them so. 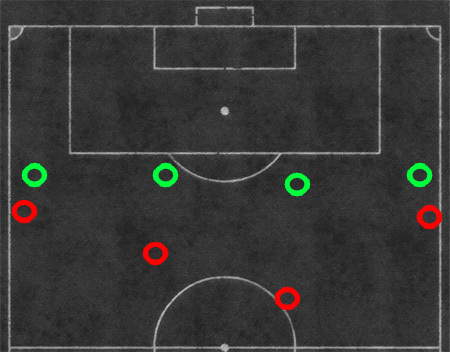 In fact, a lot of teams employ this in the final third because these players are not as heavily marked as the wingers. Bayerns full backs sometimes cut inside when the team is being pressed high up the pitch and Neuer has the ball. They draw the pressing players with them and often the wingers only have their man to beat to have a clear cut chance if they receive the ball. the point is: I don't want the game to tell me what is logical, sensible and possible in football. I want to have all available instructions. New Tactical Elements? I can't see anything. NOTHING NEW. Exactly old system, differente view and less options. Doy you want to do simple things? Ok, as you could do. But if I want to do complex things? Now I can't. I've lost my freedom. And really the only reason is that I could exploit the ME? Ridiculous. No - removing sliders means that the ME can develop at a greater rate. So, whilst you and many others were happy with sliders, they were holding the progression of the game back. I'm not understanding this "less options" thing. There are now more player roles, each one can be all but customised to exactly how you want them to play, (with the exception with some ridiculous things like Fullback swapping or whatever). How is this not an improvement? Also, how is this not more complex? I get it may be a struggle for you, but you now have to actually think about things rather than just shifting a few notches here and there. Use rational, football thoughts, instead of "cracking" a game with the adsurd sliders. Can not say to your wingers crossing rarely, give less individual mentality or creative freedom to anyone or play with maximum wide in a standard mentality are definately "less options", obviously. In real life, can't you say to your winger not crossing? It's as simple as that. Not common but possible. I don't see ME working better without "sliders". That's just AI. As avex said, Unai Emery and Pep Guardiola are tactical exploiters in real life? Maybe someone should limit their options. Who on earth intructs a winger not to cross? What did I say about rational, football thoughts? And also what are these nonsense things about mentalitites? Did Sir Alex Fergson illustrate on a scale of 1-20 that he wanted Roy Keane to play with a mentality of 12 and Paul Scholes a mentality of 16? Did he? No, of course he bloody well didn't. There is a serious point in there though. I can't think why you would want a Winger who doesn't cross, nor (as another example) an Inside Forward who can't cut inside. Whilst sliders certainly offered more flexibility, didn't they enable some irrational setups? Do you see real football anytime? Really? Didn't you see Guardiola's Barcelona playing a 3-3-4 with wingers open wide and rarely crossing? Is it irracional that wingers open the pitch just for generate free space in the middle? Of course he hadn't a 1-20 scale. He talked his players about meters, free space... As players in real life haven't a 1-20 scale attributes. They were not wingers. They were high, wide and only cut inside at the last moment. There is a role for that, Inside Forward. No man. With 3-3-4 wingers didn't cut inside. They just open all the time, while Fàbregas, Messi, Iniesta and Xavi move in that free space in the middle. I have no desire into getting into a trivial debate about how much football I watch (trust me, it's more than you could imagine), but Guardiola never once employed a winger with Barcelona. And actually, I have serious doubts that managers talk about players been so many metres up or down the pitch. They might talk about a midfielder getting close to the strikers, or another holidng his position infront of the central defenders. But I highly doubt the line came "Roy, make sure you stay 7-10 metres infront of Jaap and Henning at all times." I see the argument he is trying to make, but it's not particularly logical. Go and watch them again, they stay very wide, but at the last moment cut inside. Their end move is to come inside. I would always base their role on Inside Forward, specifically attack duties using Balanced mentality. At least in Spain managers do that. Yes. They indicate his players how and where should stay along the pitch. Guardiola didn't use wingers? Is this a comedy? Literally have no idea what one isolated image from lord knows how many years ago is meant to prove/disprove. I'm actually sat here laughing as I'm completely lost a to what your point is. However, I do know it doesn't show that Barcelona used wingers under Guardiola. Also, I have no understanding whatsoever of what this ":facepalm:" nonsense is. Now, go away until you actually come up with a rational, footballing argument to the following question; Who on earth intructs a winger not to cross? I said Guardiola's Barcelona in a 3-3-4. Wingers open wide, just receiving and holding the ball to pass to a close teammate in orden to open opposite defensive line and create free space into the middle for other players. Is it irracional? Ask Pep Guardiola. Also, David Villa and Pedro, generally speaking the two you are referring to, didn't open up to allow space, (granted, they did in the initial phase of play). But they both came inside time, after time. Just because they're playing out on the wing, doesn't mean they're a winger. Wingers dribble to the byline and cross. An Inside Forward with an attack duty will do what you're talking about. Push high and wide, and then cut into that space they've created. The "striker" (Messi) is dropping deep and then running at the defenders with the ball creating all sorts of havoc ("wingers" crashing inside and the ball being dribbled at central defenders). Note I said 3-3-4 or 3-4-3 (not 4-3-3).